Trinseo (NYSE: TSE), a global materials solutions provider and manufacturer of plastics, latex binders and synthetic rubber, is delighted to announce that PT Trinseo Materials Indonesia received a Best Supplier Award 2017 from PT Panasonic Manufacturing Indonesia. Trinseo’s partnership relationship with Panasonic began more than 20 years ago. Annually the Company supplies directly to Panasonic a few thousand metric tonnes of polystyrene resins which are used for manufacturing refrigerators, air conditioners, washing machines, and electric fans. 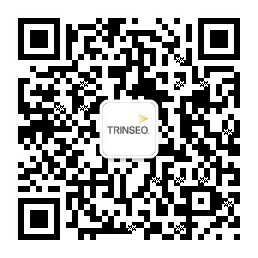 Trinseo also supplies to refrigerator sheet makers who in turn supply to Panasonic. Trinseo is dedicated to being the leader in quality products and services that meet or exceed the expectations of our customers. Being customer centric is at the heart of everything we do. Our account servicing, technical support and customer services teams are working hand-in-hand in providing responsive support to our customers, to ensure that their challenging material needs are fulfilled. “We appreciate the trust and recognition from PT Panasonic Manufacturing Indonesia through the years, and we are committed to continue to provide excellent products and services in the future,” said Steve Lin, Trinseo’s APAC Sales Director of Plastics. Learn more about Trinseo’s plastic resins used in home appliances.